May the co-op be with you! Join the Rebels or the Imperials in Star Wars Battlefront. The game is out for Xbox One, PlayStation 4 and PC and features huge online competitive battles. Co-Op fans get to enjoy survival based missions with one other player. How many players can play Star Wars Battlefront locally (couch co-op)? How many players can play Star Wars Battlefront via system link or LAN? How many players can play Star Wars Battlefront online? Is a Gold Membership required for the second player in combo co-op on the consoles? What direction is the screen split in couch co-op for Star Wars Battlefront? 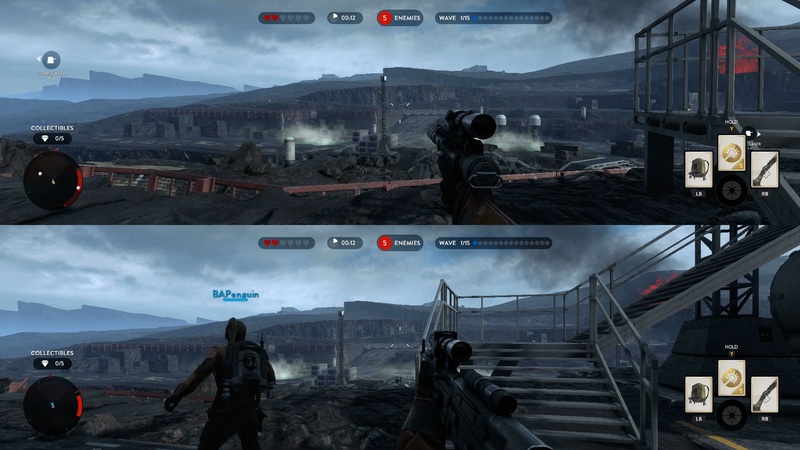 Does the PC version of Star Wars Battlefront support split screen play? 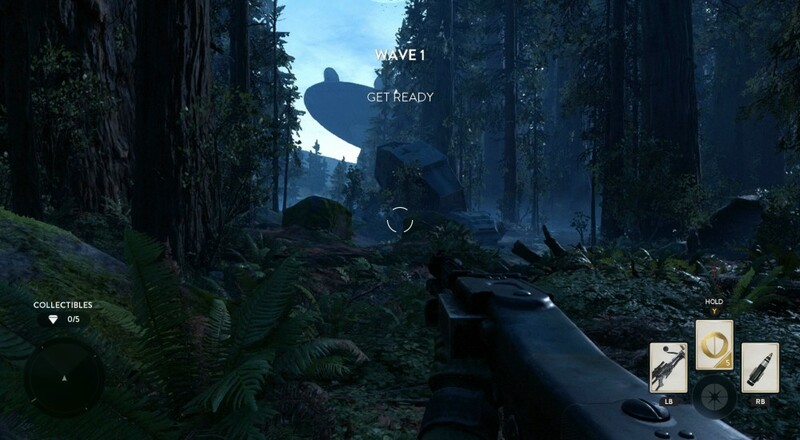 How do you begin a co-op session in Star Wars Battlefront? Can I join a game if the host is further along than me in Star Wars Battlefront? 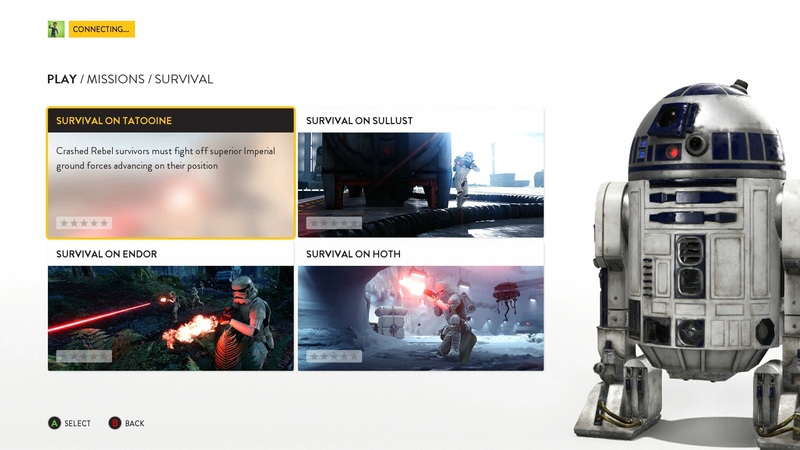 What does the Star Wars Battlefront season pass get you? How many waves are there to survive in Star Wars Battlefront? What else is there to do in Star Wars Battlefront's co-op mode? How many missions are there in co-op? Two players can play split-screen during four co-op survival missions and five tutorial missions of play. LAN play is not supported. Two players can play Star Wars Battlefront's online co-op mode. Combo co-op is not supported since the game is limited to two players. No. Though the game does ask about an EA account. Choose missions and then survival. From there you can start a couch co-op session or an online session with a friend from your party. There is no mission progression in Battlefront, therefore you can play any mission you'd like. Sixteen new competitive maps, more heroes, unique emotes, and other TBD info. It's unclear if more co-op missions will be added. Survival missions take place over 15 waves, with each successive wave harder than the last. Certain waves might have objectives like defending a drop pod, or taking out a vehicle. Each map also has five collectibles and multiple difficulty levels to replay it on. Yes, all experience earned can be used to add unlocks to your character. That said XP is only earned for completing certain objectives which includes finding collectibles, surviving without dying, surviving al 15 waves on different difficulties, etc. You do NOT earn XP just for playing. There are currently 4 survival missions to choose from, and five tutorial style missions to play.